Ajax will be looking to pull off another Champions League upset as they face Juventus in the quarter-finals of the competition. Ajax stunned Real Madrid with a 4-1 victory at the Bernabeu, becoming the first team to beat them in a Champions League knock-out tie since 2015. They welcome Juventus at the Johan Cruyff Arena on Wednesday night in the first leg of their quarter-final encounter with the Old Lady. The Bianconeri travel to Amsterdam on the back of the 2-1 victory over AC Milan on Saturday. They are 20 points clear of second-placed Napoli in Serie A and will have the chance to clinch their eighth consecutive Scudetto against SPAL in the next Matchday. Right-back Noussair Mazraoui is ruled out for Ajax due to an accumulation of yellow cards in the competition. Hakim Ziyech, Daley Blind, Matthijs de Ligt and Nicolas Tagliafico are all one booking away from missing the return leg next week. Cristiano Ronaldo has returned to training earlier this week and is expected to make the starting XI after missing the last three games for Juventus. Juan Cuadrado, Douglas Costa, and Sami Khedira are all fighting for fitness, while Emre Can will miss the game, after being forced off against AC Milan on Saturday. Giorgio Chiellini suffered a calf muscle injury in training and will miss tomorrow’s Champions League game against Ajax. Ajax head coach Erik Ten Hag says he doesn’t have any problem with the fact that Cristiano Ronaldo is back for Juventus. “We have pushed our limits many times this season and we will have to do it again this week to beat Juventus. We can take into account that we have reached an incredibly high level in matches against Bayern and Real. Max Allegri confirmed Ronaldo is ready to face Ajax during the post-match press conference after the 2-1 win over AC Milan. “He [Ronaldo] always feels ready, but I told him to rest [today]. We are confident of having him at Ajax on Wednesday,” Allegri said via Yahoo Sports on Saturday. “Ronaldo is getting better. We have good chances to see him against Ajax. But let’s wait these days. 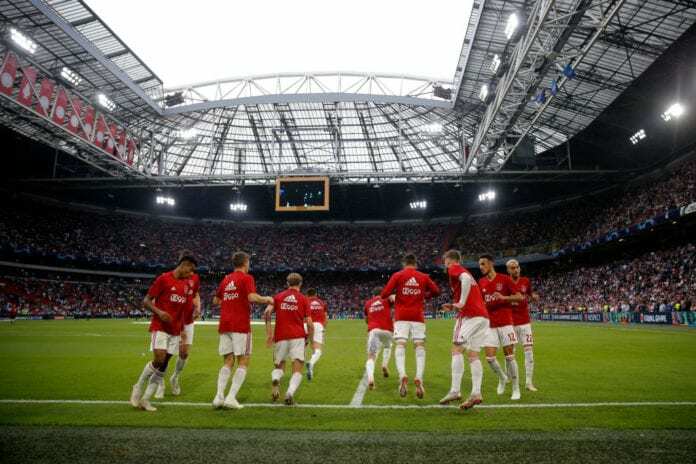 Ajax haven’t beaten Juventus on European stage since the 1973 European Cup Final in Belgrade when they won 1-0 to secure their third successive crown in the competition. Juventus have won five of their last nine games against the Dutch giants, with the remaining four matches ending as draws. Both clubs also met in the 1996 Champions League Final. Juventus won the game 4-2 on penalties, winning their second European crown. They haven’t won the competition since then, losing five consecutive Champions League finals. Ajax have won nine of their last 10 games across all competitions, scoring a total of 35 goals (3.5 per game). 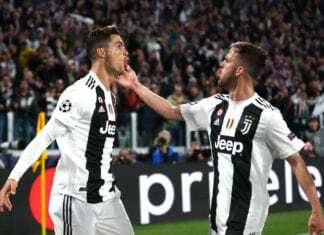 Juventus are also in good form, winning seven of the last eight games since the 2-0 defeat to Atletico Madrid back in February.